There are many plants that have their own special qualities apart from just looking good. Madder is one such plant that has been used for the purpose of dying for centuries now. It provides a beautiful red colour. Purpurin can also be extracted from this plant which can replace cobalt in lithium ion batteries. The plant is quite pleasing to the eyes as well. Growing the plant at home is possible and is quite a simple task. It just requires a bit of effort and you should be able to do it without much trouble. 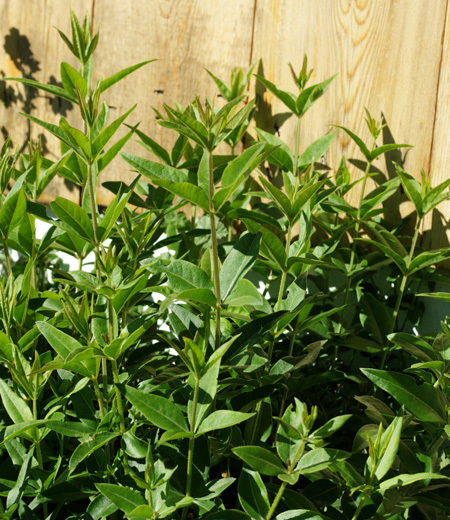 The madder plant needs a warm environment and should only be grown if the conditions are hot. There are certain varieties of the plant that require jungle like conditions to be able to thrive. The plant needs rich soil. The best way to go about it is to prepare the soil well. For this purpose, dig it at least twelve inches and if possible, eighteen inches are ideal. Put potash, manure and lime to make it rich. Doing so once will be good enough as the plant will grow in the same environment for a year. You can buy a few plants to start though growing it with seeds is quite easy as well. However, getting the seeds themselves is not the easiest of tasks. Make sure that you plant them at a distance of eighteen inches though a distance of twenty four inches is even better. Make sure that no weeds grow in the area as they are harmful for the plant. Once the stem reaches a height of one foot, cover them with dirt. They will most probably fall naturally but if they do not, you can also help them in the process. This process helps more plants to grow. The plant takes three years to be useful. If you dig too early, you will run out of stock for the upcoming year. During the third year, transplant some of the plants in the Spring season. During Fall, use a pitch fork to turn the soil which will in turn expose the roots of the plant which are used to make the red colour.